The Bretts were gone this summer but are back and the show is packed with pizazz to get your kick start your vacation as it pumps you with a variety of energetic, uplifting music. Mixed with family humor and original songs, the BRETT family has crafted a polished production that showcases this multi-talented clan as they command the stage with vocals and instrumentation. 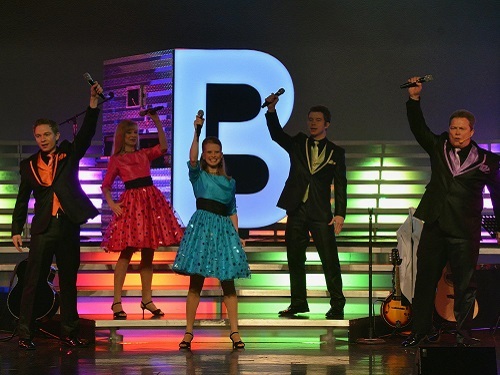 Having received a dizzying array of awards and accomplishments over their 17-year Branson career, this dynamic family produces a power-packed, two-hour entertainment experience that combines the best in music, lighting, video, dance, comedy and genuine artistry. The Bretts Show mixes timeless classics, current chart-topping hits and award-winning original music. It proudly features Branson’s #1 Patriotic Tribute and also includes a host of fun surprises for the entire family. With a plethora of acts, it’s the only true variety show in town. Hamner’s Unbelievable Show has acts for all ages and kids are free! Hamner himself has been recognized as one of the finest magicians in the world with major illusions sure to thrill. 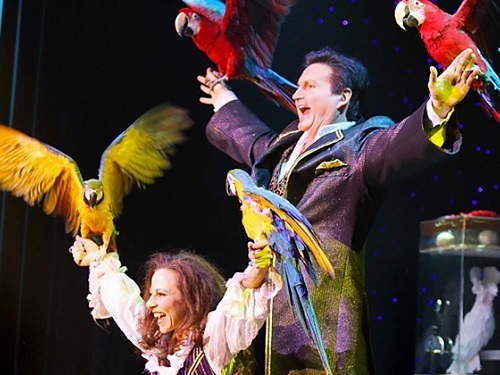 Some magicians use doves, but Hamner will produce several beautiful Macaws that he will set flying in the theatre! With magic scattered throughout, the show also features specialty acts from a world class vocal impersonator to acts of cirque fame. Branson ticket deals offers great seats and a $10 savings for each adult ticket! Catch this show for dancing, great vocals, amazing specialty acts, powerful illusions and all at unbelievable prices through Branson Ticket Deals! IT is one of the top music variety shows in town! With harmonies so tight that it will make your teeth hurt, the award winning show “IT” starring the Hughes Brothers is an amazing presentation filled with the widest range of music than any other show in town. From country to pop to Broadway, the “IT” show has something for all ages in a full production show. The five Hughes Brothers, their five wives, and a stage-full of kids hold nothing back as they dazzle your senses with great staging and lights as the world’s largest performing family. This isn’t just another big family showing off their kids; this is a world class production with polished movement and dance, clear vocals, and stunning tight harmonies. 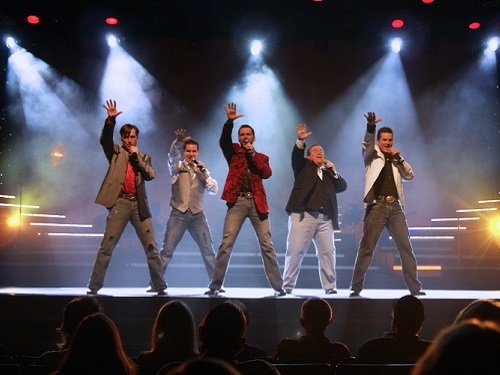 The Hughes have been noted as one of the best musical families in Branson and you will certainly understand why once you catch this electrifying show. We at Branson Ticket Deals like the show so much that we offer a special discount with adult tickets every week! What shows will you see with Branson Ticket Deals? Share with us on Social Media.